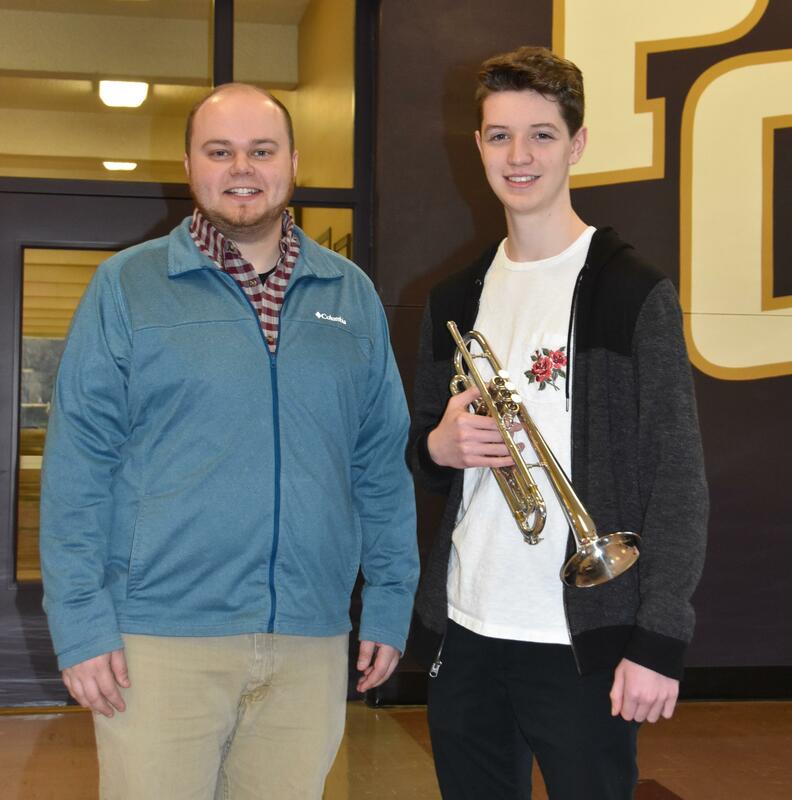 PCS students accepted to the OMEA (Oregon Music Education Association) 2019 All-State Ensembles. “I’m so excited! What a privilege!” shares 10th grader Samuel Asaya. He was accepted into the OMEA All-State HS (High School) Mixed Choir. Sam sings bass. Together with junior high students, Olivia Holmstedt (alto) and Naomi Klockars (alto), and high school students Emma Zallee (soprano 2) and Braden McClelland (trumpet), Sam has been accepted into the OMEA All-State Mixed Choirs and All-Northwest Honor Band. 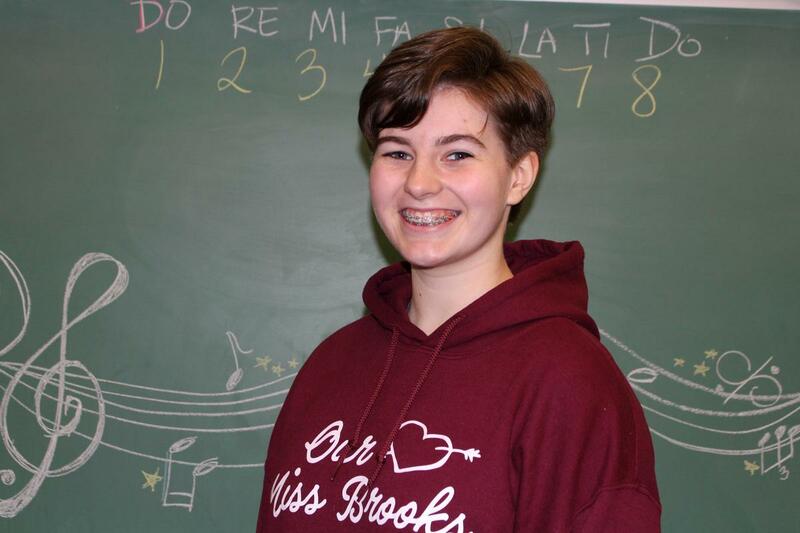 Emma has participated in the All-State ensembles in prior years and is very excited to be able to attend with other students from PCS. It will be the other students’ first time participating in the All-State Ensembles. This was also the first time PCS has had junior high students audition to OMEA. PCS choir and band teacher, Joseph Ostrand states, “junior high students who excelled in class” were chosen to submit audition tapes. The junior high (middle school) students sent recording of themselves singing a five note scale on solfège, in two different keys. Since more than ten junior high and senior high students submitted recordings, “it took time recording”, noted Naomi Klockars. For the high school level audition, Asaya and Zallee had to sing two major scales, a chromatic scale, “America the Beautiful”, as well as sing their appropriate voice part to a 4-part chorale. This was done a-cappella. Music has been part of all five students’ lives for many years. Asaya is also part of his church choir; Holmstedt (7thh grade) has been part of choir since elementary school and performs with the Journey Theater. She finds it “easier to express my feelings through singing. It’s easier to hide my emotions when I’m speaking.” Klockars (8th grade) has participated with NW Children’s Theater as well as singing in elementary school choir. Zallee (11th grade) has held multiple lead roles in PCS school plays and musicals; McClelland (12th grade) is playing lead trumpet in the high school concert band and studies privately with John Dover of Vancouver. On the weekend of February 14-17, 2019, these students will have the opportunity to gather with fellow musicians from around Oregon. The OMEA All-State Ensembles will be held in Portland at the Portland Convention Center. Asaya and Holmstedt are looking forward to meeting new people and seeing their talents. 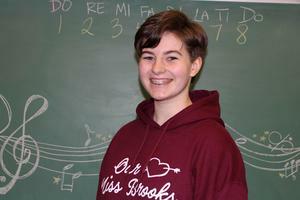 “I’m excited to sing with a bigger group than our [junior high] school choir,” says Klockars. 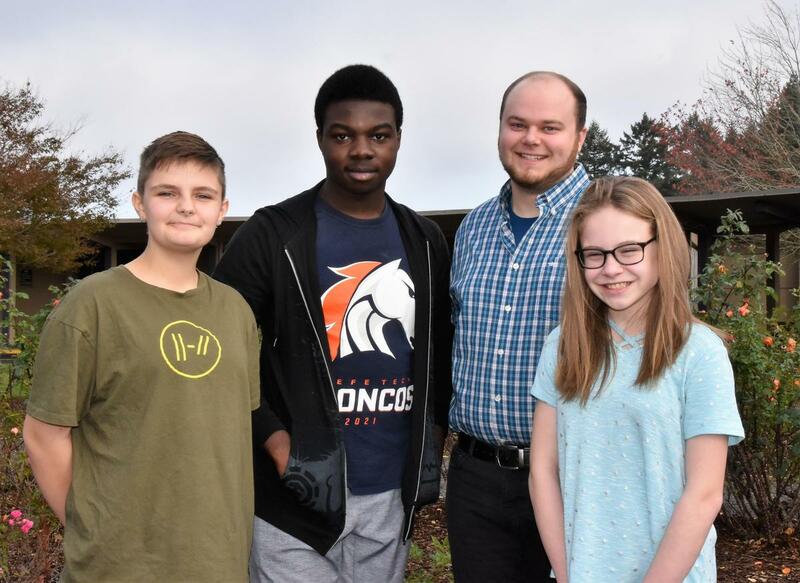 The High School Mixed Choir is comprised of 140 students from all across the state and the Middle School Mixed Choir offers 100 students the same opportunity to sing with their colleagues from all around Oregon. Guest conductors will work with the students and their weekend will culminate in a public performance.